Abraham Lincoln is a filmmaker’s favorite. He’s been the subject of almost as many movies as Al Capone. 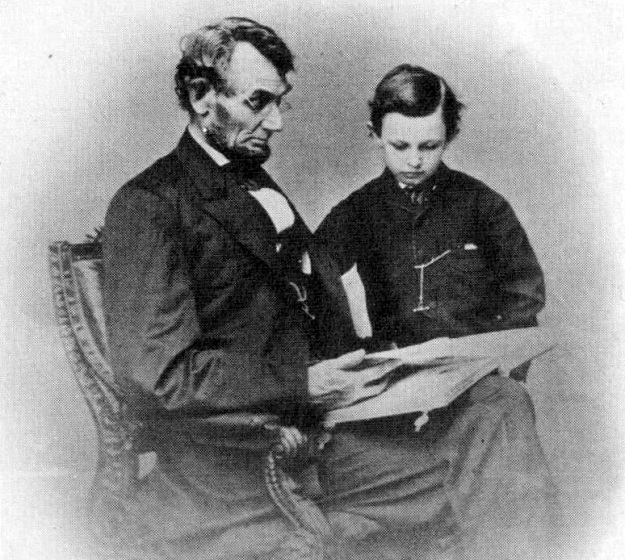 Lincoln (the movie) takes place during a few weeks in January 1865. 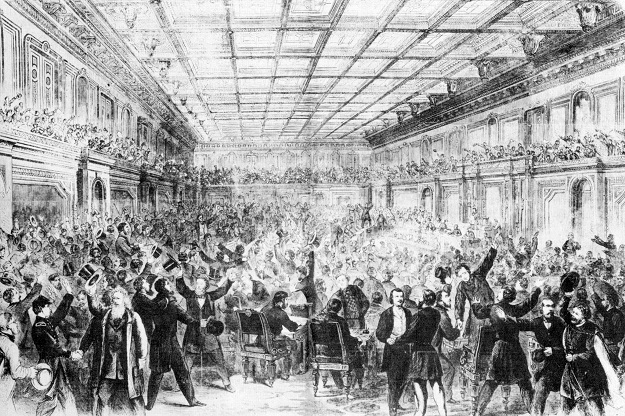 Lincoln (the president) has just been re-elected to a second term. The rebels are on their last legs, and the Civil War will soon be over. Now is the time to end slavery, once and for all. Lincoln had already issued the Emancipation Proclamation. This said that all slaves in the rebel states would become free, as soon as the Union reconquered those states. Since he was commander-in-chief of the army, Lincoln felt he had authority to do this. But once the fighting ended, maybe some court would throw out this executive order. The only way to guarantee emancipation was to put it in the Constitution. The Senate has already passed the proposed 13th Amendment. The screenplay tells the story of how Lincoln worked to round-up the needed two-thirds of the House. He had to keep all his Republicans on board, and he had to get some Democrats as well. I was reminded of the movie 1776, where John Adams is trying to gather enough votes to pass the Declaration of Independence. Here we see a master politician at work. Lincoln will persuade by evoking eloquent altruism. He will also persuade by telling half-truths and lies. Meanwhile, he has agents working among the wavering Democrats, basically offering bribes for their support. There are other complications. The rebels are sending a delegation to talk peace, which will end the war immediately and spoil everything. The president’s son wants to leave Harvard and join the army. The First Lady is being a pain, too. We know how it will all end. So let’s look at a few other aspects of the movie. As a historian, I’ve seen many actors portray Lincoln. Daniel Day-Lewis is as good as any of them, and maybe the best. He captures all the complexities of his subject. But better you watch him do it than have me try to explain it. Like DD-L, Sally Field is up for an Oscar, though in a supporting role. For my money, she’s a bit over the top in her playing of Mary Lincoln. Or maybe Mary Lincoln is just a disagreeable character. Tommy Lee Jones is a nominee for Best Supporting Actor. As radical Republican leader Thaddeus Stevens, he has the kind of flashy role an actor can really sink his teeth into. Personally, I preferred David Strathairn’s restrained, un-nominated performance as Secretary of State Seward. John Williams again does the music for a Spielberg project. Williams made his name with swashbuckling scores. But here, befitting the movie, he’s more Copland than Korngold. Though the subject matter is serious, the movie has humor. Many of the chuckles come courtesy of Honest Abe’s funny stories. The tale of Ethan Allen and the British privy is alone worth the price of admission. In the hands of a lesser director than Spielberg, a 150-minute movie about high-level political maneuvering might be a disaster. I&apos;m thinking here of another “President” film from 1944, Wilson. I love watching that movie because it recreates historic events I’ve read about, dreamed about, and taught in class. I also recognized that Wilson is overlong and boring. I can’t say whether Lincoln deserves the Best Picture Oscar. I haven’t seen all the other nominees. All I can say is that this movie is one of the best history lessons you’ll ever enjoy.